As a leading international marketer and distributor of biofuels, Targray is well-positioned to support EU biodiesel producers and consumers with innovative fuel supply solutions aimed at delivering differentiated value through product and process innovation. Operating out of Targray offices in Geneva, Switzerland, our European biodiesel team works collaboratively with major EU commodity traders, brokers, biofuel producers, diesel distributors, fuel retailers and transportation companies to create new efficiencies across Europe’s low-carbon fuel supply chain. In the European transport sector, biodiesel can effectively be used both when blended with fossil diesel fuel and in pure form. Tests undertaken by motor manufacturers in the European Union on blends with diesel oil up to 5-10%, or at 25-30% and 100% pure biodiesel have resulted in guarantees for each use type. Moreover, its use as a transport fuel does not require any changes to the fuel supply chain infrastructure. Biodiesel has been produced on a commercial scale in the European Union since 1992, largely in response to positive signals from EU institutions. Today, there are approximately 120 plants in the EU producing upwards of 6 million tonnes of biodiesel annually. These plants are primarily located in Germany, Italy, Austria, France and Sweden. Legislation to promote and regulate the use of biodiesel is in force in various countries including Austria, France, Germany, Italy and Sweden. At the EU level, strict guidelines in compliance with CEN Standardisation (EN14214) are in place to insure quality and performance. The Renewable Energy Directive established an overall policy for the production and promotion of energy from renewable sources in the European Union. It required the EU to fulfill at least 20% of its total energy needs with renewables by 2020 – to be achieved through the attainment of individual national targets. All EU countries had to ensure that at least 10% of their transport fuels came from renewable sources by 2020. In the 2018 revision of the Renewable Energy Directive (RED II), the overall EU target for Renewable Energy Sources consumption by 2030 has been raised to 32%. The Commission’s original proposal did not include a transport sub-target, which has been introduced by co-legislators in the final agreement: Member States must require fuel suppliers to supply a minimum of 14% of the energy consumed in road and rail transport by 2030 as renewable energy. Biofuels and bioliquids are instrumental in helping European union countries meet their 10% renewables target in transport. The Renewable Energy Directive sets out biofuels sustainability criteria for all biofuels produced or consumed in the EU to ensure that they are produced in a sustainable and environmentally friendly manner. 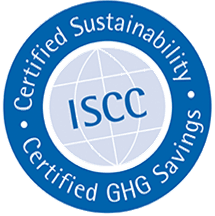 Companies can show they comply with the sustainability criteria through national systems or so-called voluntary schemes recognised by the European Commission. Accounting for 75% of the EU’s total transport biofuels market, Biodiesel is the most important commercial biofuel offered in Europe today. First developed and used in the EU transportation sector in the 1990s, biodiesel in Europe has expanded rapidly in the last 30 years. Fueled by increasing crude oil prices, tax incentives in states like Germany and France, and important EU policies including the renewable energy directive (RED), the European market has grown to become the world’s lagest biodiesel producing region. We market as range of biodiesel supply solutions to help European businesses enhance their profitability and growth while helping create a more sustainable economy for future generations. Our innovative procurement programs are tailored to meet the evolving needs of our customers, which range in size from local biodiesel distributors and fuel retailers, to leading global commodity traders. The European Biodiesel Board, also known as EBB, is a non-profit organization which aims to promote the use of biodiesel in the European Union. Established in 1997, the EBB groups together all the major EU biodiesel producers. Bioenergy Europe (formerly known as AEBIOM) is the common voice of the bioenergy sector aiming to develop a sustainable bioenergy market based on fair business conditions. It brings together associations, companies, and academic & research institutes from all across Europe. EUBIA’s objective is to support the European biomass industries at all levels, promoting the sustainable use of biomass as a source of energy and bio-based materials, developing innovative bioenergy concepts and fostering international co-operation within the field. IEA Bioenergy is an organization set up in 1978 by the International Energy Agency (IEA) with the aim of improving cooperation and information exchange between countries that have national programs in bioenergy research, development and deployment.